Former Additional Secretary in Presidential Secretariat A.S. Gunarathna and former Chief Accountant A.L. Gunarathna were arrested yesterday (25th). They have been charged with incurring a loss of millions to the government by buying through the Presidential Secretariat 8 luxury vehicles during Mr. Mahinda Rajapaksa’s term as President. “These days Mr. Maithripala Sirisena and Mr. Ranil Wickremesinghe pretend to fight with each other. Their fights are not real. Dashing away from the cabinet is only a playact. This may be repeated before the 10th. People think they are fighting with each other. They merely pretend. During the campaign, they say one thing and after winning they say an entirely different thing. Now, the people know they do not do what they say. That’s why people think that nothing would happen whoever comes to power. People are disgusted with this deceiving politics. 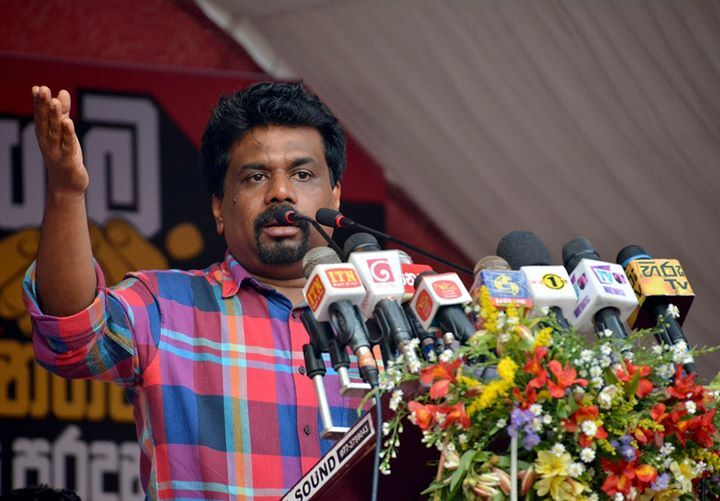 Hence, we ask the people to change this deceitful politics,” says the Leader of the JVP Anura Dissanayaka. 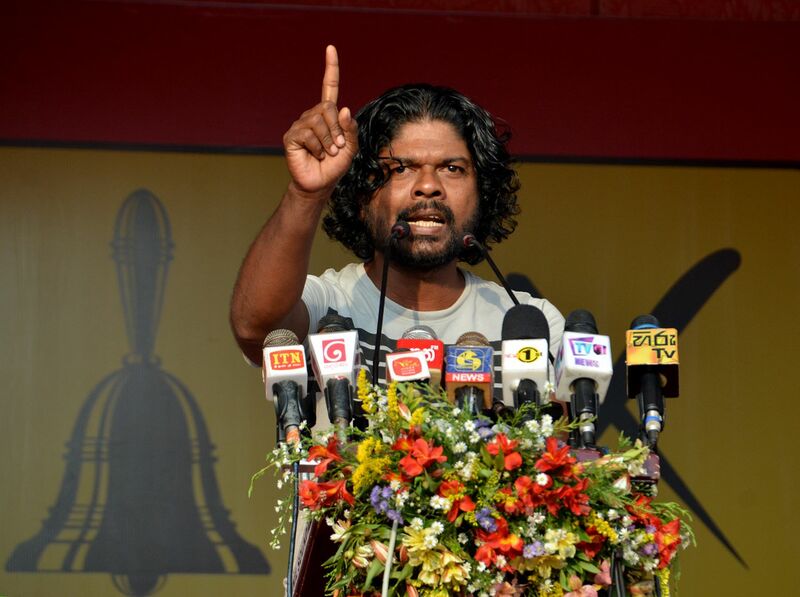 He said this at a rally held at Olcott Mawatha in Galle in support of JVP candidates contesting the local government election. 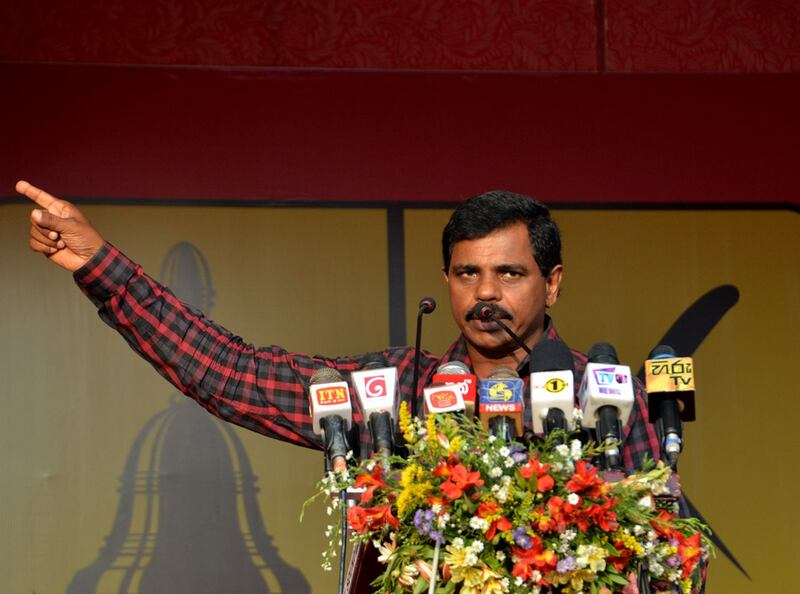 Speaking further Mr. Anura Dissanayaka said, “The local government election is scheduled to be held on 10th February. 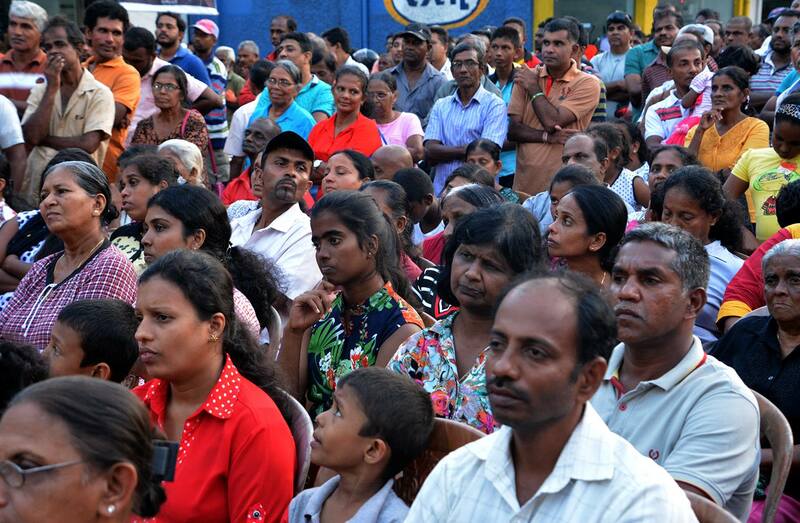 We have come here to request you to vote for the JVP. What do people in our villages say about politics? Many say they are disgusted with politics. They say everybody who comes to do politics is the same. They say they would mind their own business and would not go to the polling booth. Why are people frustrated about politics? Politics is not a bad thing. Politics is service to the people. It is an honorary service. Why did politics that was an honorary service, a voluntary service and a service for the people become bitter for the people? Our people actively and happily contributed to politics. However, now the people despise politics. People organize meetings and rallies; they canvass for political parties, light crackers. People who were so enthusiastic about politics are frustrated about politics now. The elderly parents who are gathered here today would have used their votes several times. They would have used their vote to elect Presidents, governments, provincial councils and local councils. However, what is said by politicians before voting is not what they say after winning. This is why people are disgusted with politics. The person who contests the presidential election makes many promises. People cast their votes for him. After getting elected he or she does entirely different things. What did the incumbent President say before getting elected? 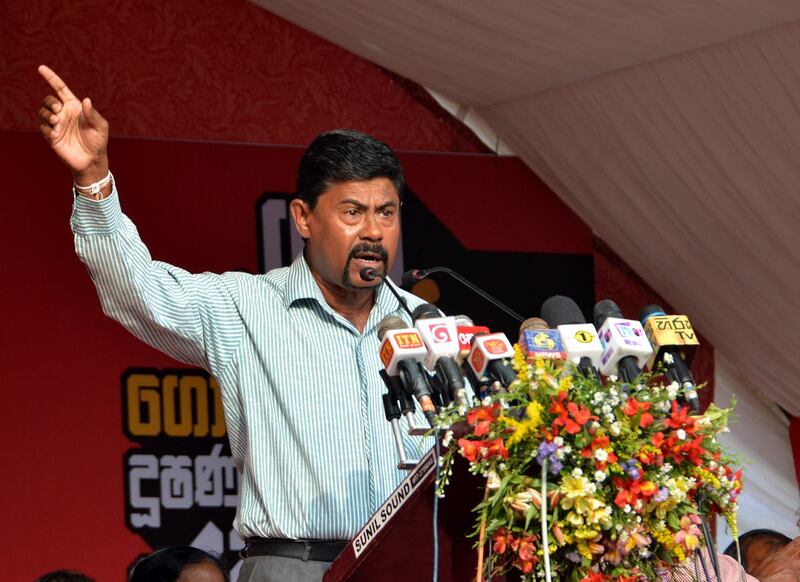 He said he was a common candidate, de doesn’t have a party, he would abolish executive presidency and establish democracy, would bring in a new constitution, stay in power for five years and go away to Polonnaruwa and cultivate a paddy land. This is what he said before getting elected. However, a few days ago he inquired from the Supreme Court whether he could remain in office for one more year. The man who said he would go in five years has grabbed a party and does everything to make this party win elections. This is why people are disgusted with politics. What the Prime Minister does is not what he said before getting power. People have lost faith in the politics of the deceivers that has deceived them. People know politicians do not do what they say. Hence, we ask the people in this country to change this deceitful politics. This kind of politics is a very profitable business. Earlier the talk was that peddling heroin was profitable. Rs.100,000 worth heroin could earn Rs. 10 million. There was no other business in our country as profitable as peddling heroin. However, peddling heroin is risky. Any heroin peddler would tremble when he sees a policeman. However, engaging in politics is more profitable. There is no risk and the policeman trembles when he sees a politician. As such politics is honourable plunder. Politics is a license to plunder honourably. The politician is a plunderer. Basil Rajapaksa, like the traders who come to various festivals to sell their ware and go back once the festival is over, comes from the USA when his brother became the President, did business and went away once the brother was defeated on 8th January 2015. His business was profitable, bought lands from Malwana, Browns Hill in Matara. People should despise this deceitful politics that has become a business and the politician who has become a plunderer. We invite you to get free from the deceitful politics. Let’s salvage the politics that has become a business and create a people’s service to replace the plundering politician. This is our aspiration. Today, our country is like a country invaded by Somali pirates. For 70 years our country has been plundered by a group similar to Somali pirates. People have realized this now. Hence, we have come here to invite you to get free from the politics of deception. Let’s set free politics that has become a business. We’ll create a people’s service instead of the plundering politician. This is our expectation. Our country is like a country that has been grabbed by Somali pirates. For 70 years our country has been grabbed by a group like Somali pirates. People are slowly realizing this truth. Let’s begin the struggle to liberate our country from politics of deception and plunder. The best opportunity for it is the local government election too be held on 10th February. 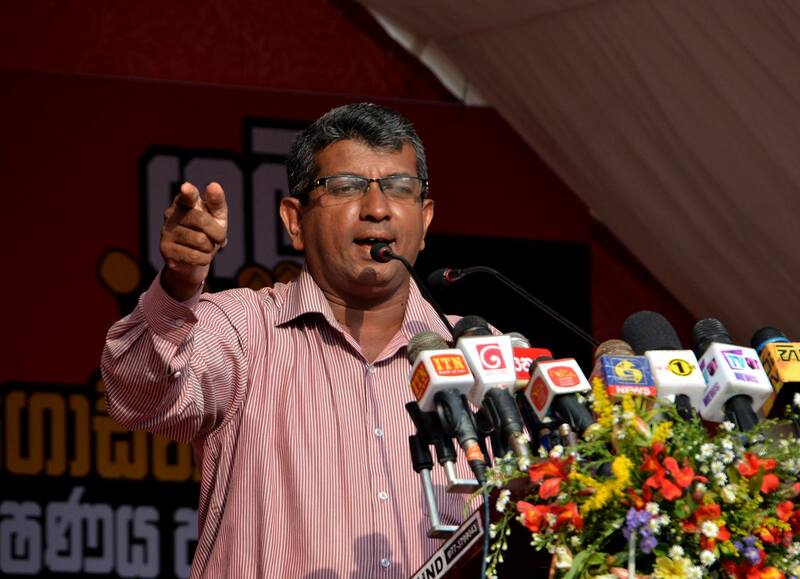 If we get a strong victory on that day we would definitely make the JVP as a force that could come to power in 2020. This deceptive plundering politics should be halted. If you are not giving us power, who else would you bring to power? 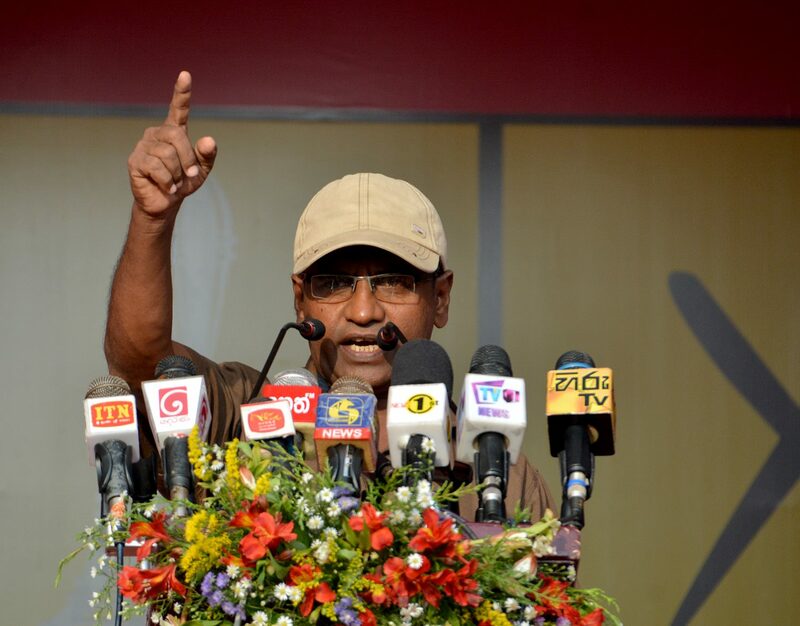 Do you bring the UNP or Mr. Maithripala Siriseena’s party to power? Do you think of bringing Mr. G.L. Peiris’ new party to power? 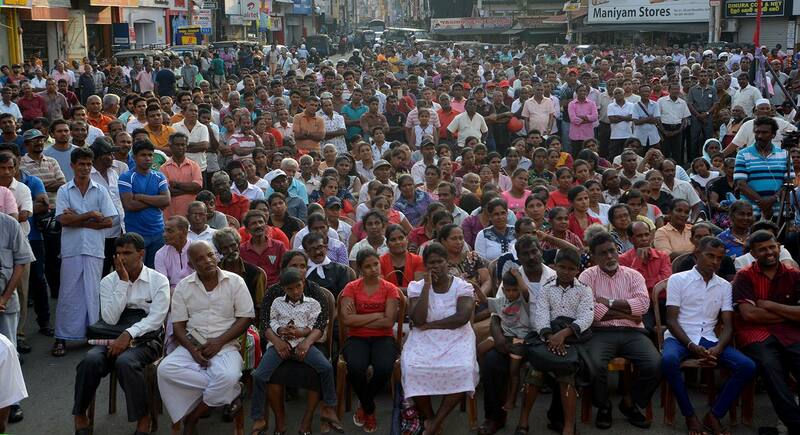 I would like to talk to the supporters of the UNP who voted to bring UNP to power. Why did you vote for the UNP? No citizen in this country would vote for thieves. Did you vote and asked your party to steal? Did you vote for your party to trap the country in a debt trap? 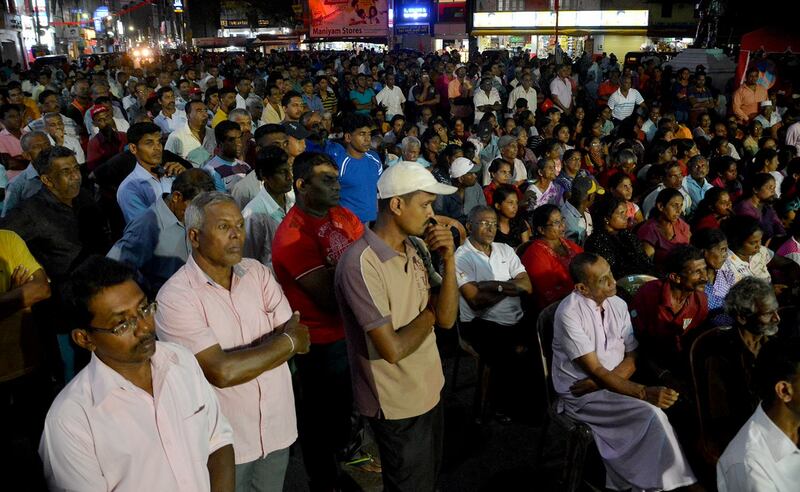 What this government does is not the wish of the members of the UNP. Can you remember Mr. Ranil Wickremesinghe said Rajapaksa regime stole billions; that when they come to power all thieves would be jailed; assets of the thieves would be taken over and the country would be developed with that loot. Three years have gone by. Did they catch any thief? Instead, thieves were protected and now the thieves are ridiculing the government. The biggest theft in the country in the recent past was committed on 27th February 2015. According to what is being reported it is a plunder of Rs. 11000 million. However, those in the government say it is not a serious issue. This government did not develop the economy nor do they have a plan to do so. Mr. Ranil Wickremesinghe says rice, coconut and vegetables could be imported. Do we need a government to do that? A few merchants in Pettah would be able to do it. If the UNP is given power at the LG election prices of everything including electricity, water, gas would go up before the Sinhalese Tamil New Year. As such, don’t vote for the UNP. Though Mr. Ranil Wickremesinghe would not lose his premiership by not voting for him at this election, his government could be given a message. People could give him a sign that they are not satisfied with the way the administration is handled. So that he would attempt to lessen his government’s anti-people’s activities. 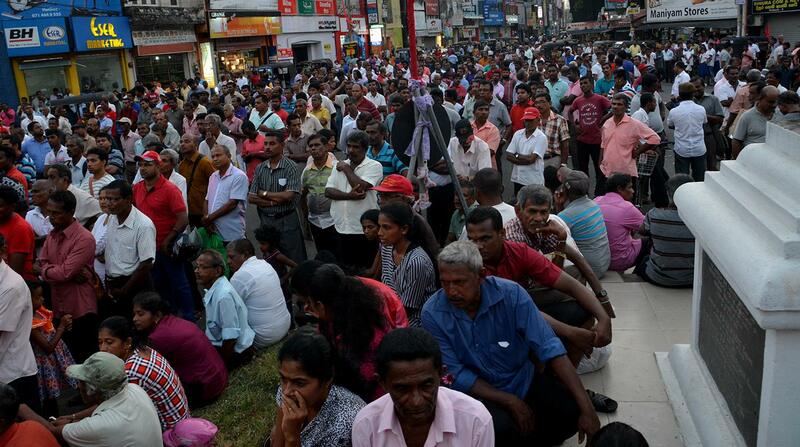 Mr. Maithripala Sirisena is also not capable of carrying out a satisfactory administration. Despite Maithri and Ranil pretend to fight with each other, it is a playact. For, they are partners of the same government. There would be more ‘fights’ before 10th February. They contest the election separately but after the election, they will rejoin, put the votes they have gathered separately to one heap and say people have voted for their programme. Hence, we ask people not to vote for them. Do you vote for Mr. G.L. 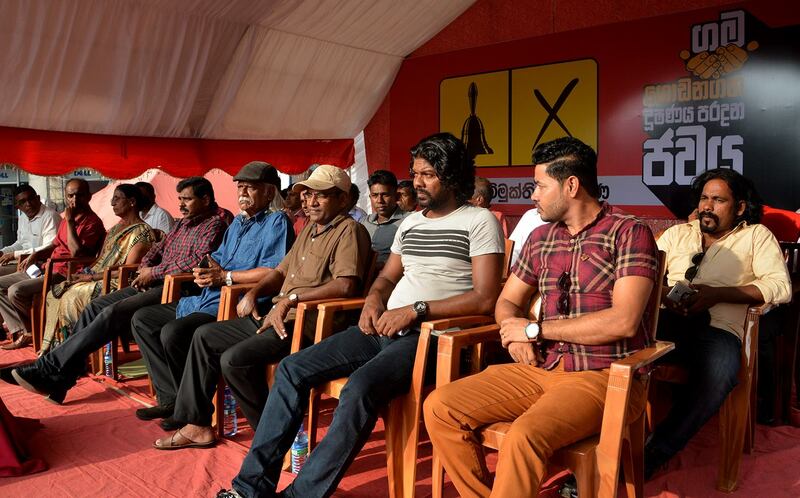 Peiris’ new party? It was their party that administered the local councils for long periods. They have failed and they should not be given power again. I saw poster being put up saying ‘vote to make Mahinda Prime Minister’. Can Mahinda be made the Prime Minister with this election? It is a lie. The Prime Minister is elected at the general election. 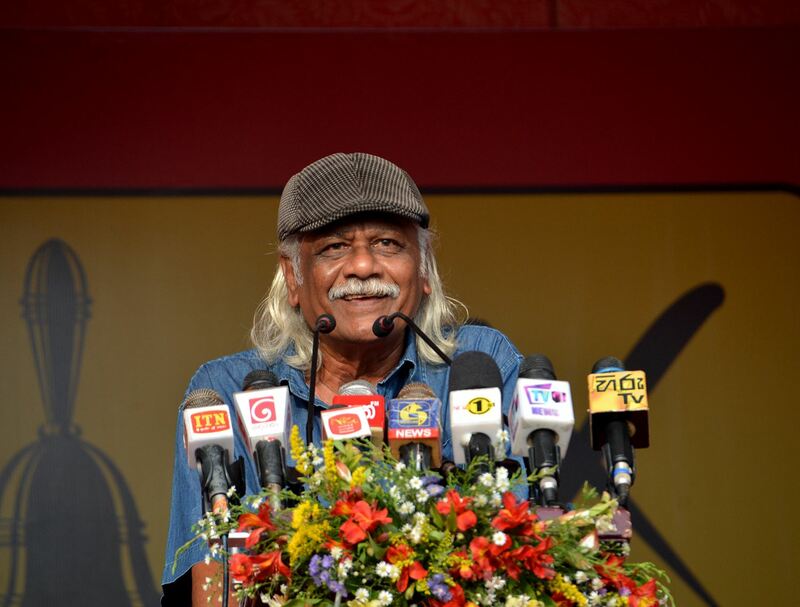 The JVP Member of the Southern Provincial Council Nalin Hewage, JVP Organizer for Akmeemana Rathna Gamage, Senior Lecturer of History and Archeology in Ruhuna University Deva Michel, renowned artists Sunil Wickremesinghe, Jayantha Muthuthanthri and Chnadrasoma Binduhewa also spoke.